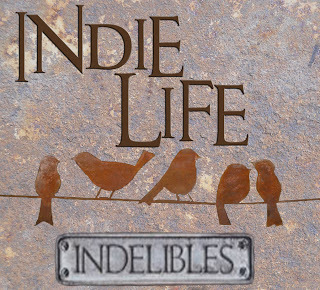 Indie Life: To Critique or Not To Critique? There are a lot of great things about being an indie author (namely creative control), but there are challenges as well. Let’s be honest; sometimes you don’t know what you don’t know. So we hire designers, editors, and sometimes even marketeers. (Yes, marketeers is a real word. I promise.) My point? Being an indie doesn’t mean going it alone. Sure, there’s plenty of trial and error, but there are also a lot of great resources out there for writers. I recently stumbled across CP Seek, a website dedicated to helping writers find critique partners. How awesome is that? I have a kickass team of beta readers, but I can’t help but think that what’s missing is a critique partner, someone who not only understands plot structure and tropes and character archetypes, but who shares the ups and downs of writing. (Writer’s block, anyone?) In the past I’ve been nervous about dipping my toe in the crit partner pool. I wasn’t sure if I’d have the time or the perspective to be a great partner, so I held back. I’m starting to rethink my position. After all, I’ve been reading and writing my whole life (more or less) so how hard can it be? (Kidding!) Seriously though, I’m working on my third manuscript and I’m more comfortable with my writing and editing than ever before, so this feels like the next step. And if I can help a fellow writer along the way? Bonus! I’m definitely going to check out CP Seek, but if there are any writers out there with helpful hints for finding the right crit partner, I welcome the feedback! I’m just getting started, but I have a feeling this is going to be a lot like dating or, you know, finding a great pair of shoes….